It’s October and that means Halloween in around the corner. From costumes, to jack-o-lanterns, to spooky home decor, Halloween is a maker’s playground. Each week for the month of October the MakerBoos… sorry the MakerBus team will post a different list of ideas for different maker Halloween projects. This week we’re looking a fun ways to transform the traditional jack-o-lantern into something new. Tinker-bell Pixie Dust Jack-o-Lantern – This awesome Instructables project shows how a stencil and a power drill can take your jack-o-lantern to the next level. 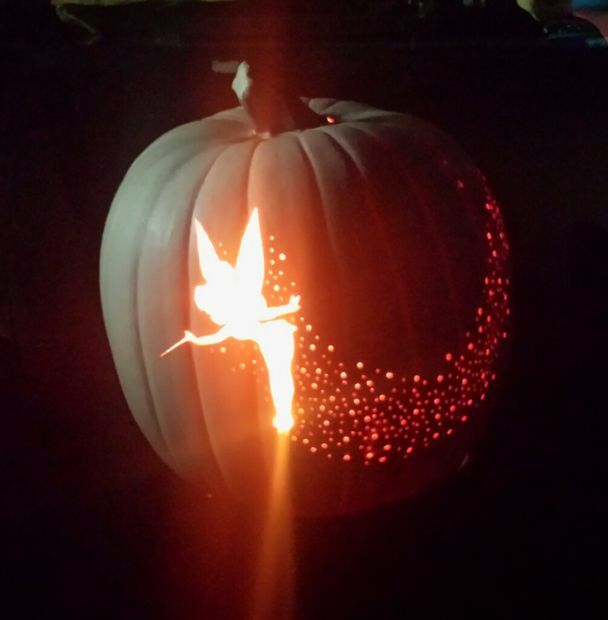 The idea of drilling into a pumpkin with different sizes of drill bits to create the pixie dust effect is brilliant. 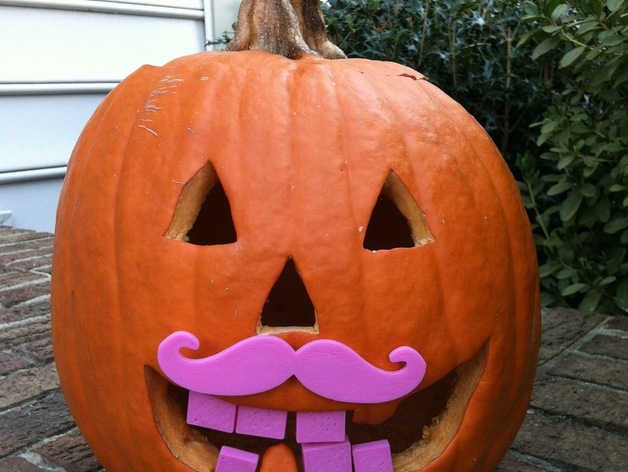 3D Printed Pumpkin Moustache – Bring a little whimsy to your jack-o-lantern with the stylish 3D-printed pumpkin moustache. Smart Pumpkin Using Arduino and NeoPixel – If you’re looking for a great introduction to Arduino and Adafruit’s NeoPixel ring, check out this tutorial for making a glowing, colour changing jack-o-lantern. Plus, if you need a way to store a battery inside of a pumpkin, check out this Thingiverse file. Pumpkin Battery – Why put batteries into a pumpkin when you can make batteries from a pumpkin? 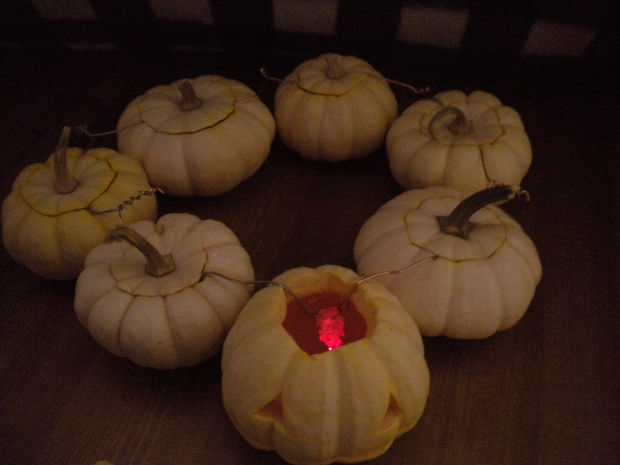 This tutorial shows an easy way to turn a series of pumpkins into a 1.5V battery. Last year we tried turning pumpkins into batteries using zinc and copper and it’s a great project to teach kids about how batteries work. Paper Pumpkin – Not all jack-o-lanterns have to be made from pumpkin. 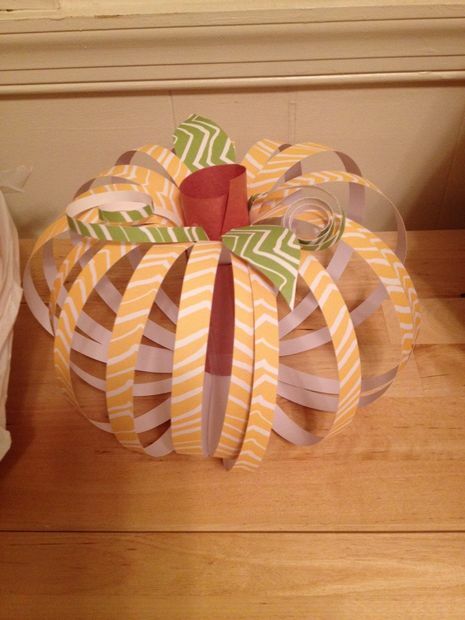 Using this tutorial you can make beautiful pumpkins from paper. A great art project for a rainy October afternoon. Do you have any maker jack-o-lantern projects planned for Halloween? If you do, we’d love to hear about them. Share your maker jack-o-lantern ideas in the comments of this blog post. And come back every week this month for more maker Halloween fun!